If you are a Porsche car owner, you know how it is like to feel the luxury provided by this world-renowned brand. In order to serve your needs best, we at Manhattan Motorcars have always committed ourselves to bring you a wide range of new and used car models from the brand. We have served the needs of auto buyers in Harlem and all other neighborhoods in New York. We can also help when it comes to repair and maintenance of Porsche automobiles. We only have the most genuine Porsche parts in stock. 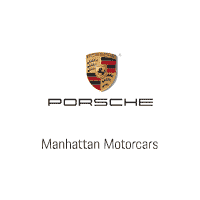 Experience the comfort and prestige of driving Porsche cars by visiting us at Manhattan Motorcars. Located in the northern part of the borough of Manhattan in New York, Harlem is considered one of the largest neighborhoods around that area. Apart from being a major African American cultural and residential center, it is also known as a business center. Originally regarded as a Dutch village, the neighborhood got its name from Haarlem in Netherlands. Through the years, the community has changed with major population shifts depending on a particular cycle.